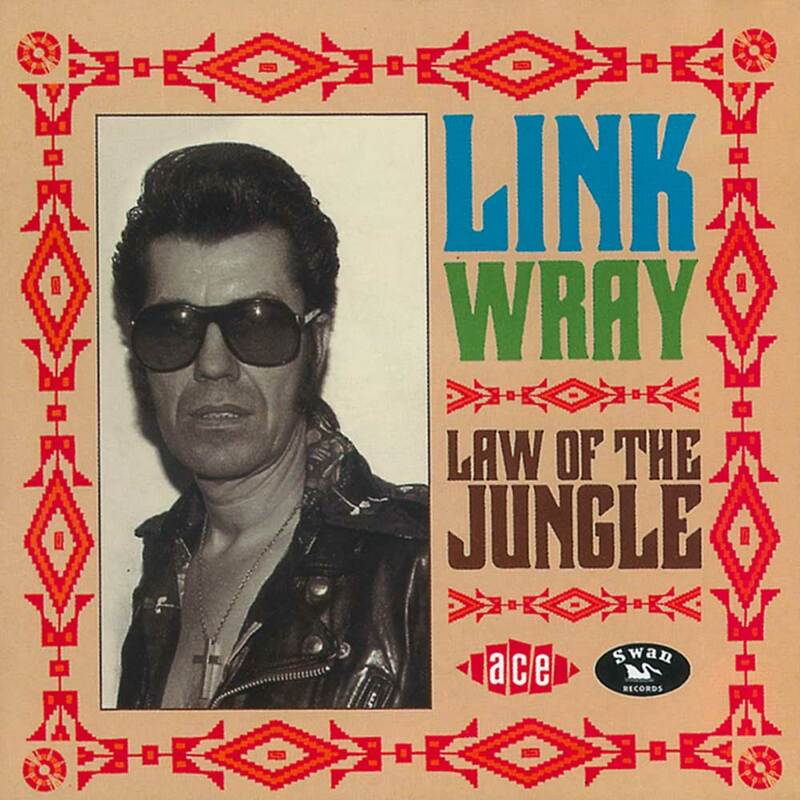 The Spirit, Not The Letter – ACRONYM Inc.
Born in 1929 to a Shawnee family, Link Wray is an unlikely heir to the Punk Rock throne. Wray had few opportunities growing up, and it was Link’s older brother, Vernon, who was the guitar wizard. Vernon was a clever kid, and lied about his age to get a job with a cab company so he would have access to a car to use for other jobs, including gigging as a Country Swing group. But, keep in mind, in spite of the name on the label, this is also Vernon’s story. Vernon invited his brothers into the group when they were interested, and it quickly became a family affair, each member of the family performing as well as the others. Link had a great voice, and would often sing for the group, but picked up a few instruments just through performing with his family. Vernon would change the name of the group (and the line-up), and relied on their indian heritage and certain unspoken by prevalent racial prejudices to increase the number of gigs he could book with easily-duped club-managers. The band learned a large number of songs so they could perform as other kinds of groups, as needed. Vernon had a natural aptitude for equipment and management, a skill that he honed over the years of playing and loving the music he was making. It made all the cabbing worth it. However, for Link, there are few other options available for an 18 year old native american, and as fun as playing hillbilly music for honkys in some bar might have been, Link felt the call of adventure, and the Army offered more opportunities than anything else around him. Link loved the traveling and the camaraderie with his army buddies, and thought he was going to do well for himself in this enviornment. A case of Tuberculosis not only cut short his tour of duty, but cost him a lung while fighting the disease. When he got back home he was weak and poor, and spent a lot of time at home with a radio, just in time to discover rock ‘n’ roll in it’s nascent form in the early ’50’s. Wray suddenly saw his experience with his brother’s group the training ground for something that he could only just now see. Link picked up a guitar and, until 2005, didn’t bother to put it down again. It took Wray a few years still to become the player he would evolve into, but his lack of formal education and a desire to FEEL the guitar propel itself out of the amplifier led to Link straining equipment and gear to the point of distortion, and was intensified when he used what he called “cheater chords” (barre chords), which caused his guitar to send out massive swaths of reverberation in the middle of a tune. Once he landed a hit single with his first release, “Rumble,” he secured for himself a signature sound and style that was prescient of the impending Garage & Punk movements of the years to come. For nine years he worked in a three-track studio he build in a chicken shack with Vernon, and together they churned out singles and albums of instrumental rock. Vernon had an intuitive understanding of how to record Link’s unique guitar playing and fit it into a sound and format that would move 45s, with both DJs and kids in record stores. Unfortunately, Link’s singing voice never recovered from his military illness, but this only ignited within him an attempt to express himself with his guitar. While he did try to write new material after his initial “retirement” in the late ’60’s, he was never able to match the fierceness captured in those early records. He performed his entire life, and at age 76, had become an icon in rock music in a way few artists of his age had every achieved previously. 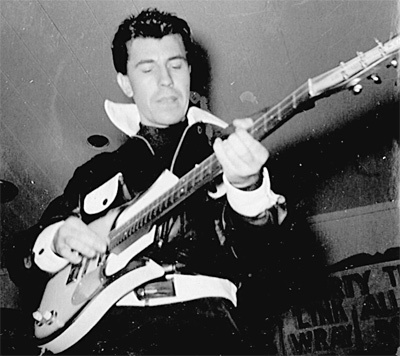 In the ’60’s Link Wray had fallen into a routine: he would write and record music with a permutation of the same band from the country days, and his brother – having moved to the management / production side of things – helped make sure Link’s records got into stores, and Link got to the shows. It was durin g this period that he was on Swan Records. He cut quite a few records for them, but in 1964 the band cut a very loose and loud session to tape, with some old favorites and some new tunes, in the hopes that they could work out a couple new songs, and maybe – just maybe – get a single out of some of it. While there was plenty around that was pointing in this direction, Link was laying on the distortion so thick that they band had an amplifier-rattling attack that synthesized the Link Wray sound he’d been developing since “Rumble,” only louder. Listening to Law of The Jungle, you can almost hear Punk Rock being invented in his riffs. For decades these recordings were shelved, and no one is entirely sure why. Hits weren’t a guarantee with this weird and new sound, and it was possible that Link listened back to the sessions and was nervous about releasing the record, which would mean a financial hit for him and his label. 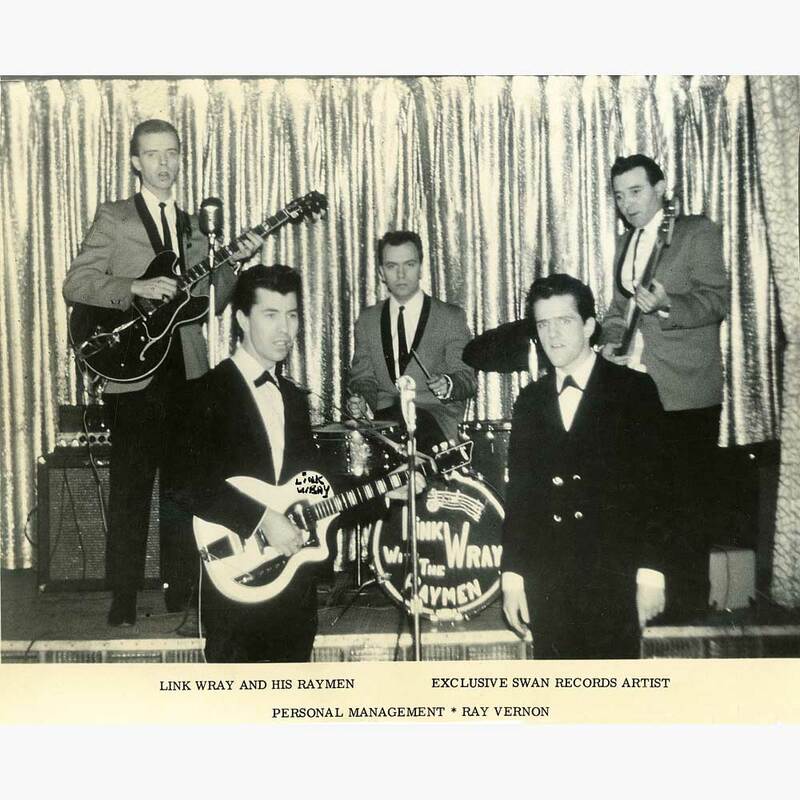 Wray was a fairly profitable artist when it came to 45s, and he was able to keep a steady fan base and a string of gigs, built on the foundation of these hot recordings. It would be hard to imagine anyone in the Wray family not seeing the financial side of this equation, and I’m sure you can sense Vernon’s hand in this decision. Shelving those tapes might have made sense. Even when this kind of thing was fashionable, they probably had moved on to other things. But I like to imagine Vernon & Link, in the chicken-coup studio, listening back to the “Law of The Jungle” recordings. Cigarettes lit, the sound as loud as it can go. Vernon just going mental over the sound he was able to get, Link air-strumming to the tracks. They each had to know, looking at each other, smiles on their faces. This was… something.